If you are injured at work, you may need to file a workers’ compensation claim to pay your medical bills and to receive your lost wages. You may be tempted to negotiate a settlement with your employer’s workers’ comp insurer on your own. However, workers’ compensation laws can be complex, and you may be confused as to what you are really entitled to. In addition, you cannot assume that the insurance company will voluntarily pay your benefits. They often deny legitimate claims like yours in an effort to save money. Hiring an experienced workers’ compensation attorney could be the best decision you make in your case. Should You Ever Represent Yourself? Your injuries were minor—like a twisted wrist or a cut needing a few stitches. You only missed a few days of work or none at all. Your employer admits your injury was caused by a workplace accident. You do not have a pre-existing injury to the same area of your body. Even if you plan to resolve your claim on your own, you probably should consult with a workers’ compensation attorney to be certain you are not giving up important rights or compensation you are entitled. Most attorneys offer a free initial consultation. Your claim is denied or delayed. Sadly, workers’ comp insurance companies routinely deny valid claims to save money or because they know many workers will not appeal their decision. In other situations, they may not pay benefits promptly as required by New Jersey’s workers’ compensation law. An experienced attorney can help you appeal and obtain the benefits you deserve. Your settlement is not fair. You are entitled to be fully compensated for your injuries. Even if you receive an offer on your own, it could be less than what you deserve. You will have no idea whether this is true unless you hire an attorney who will understand the value of your claim based on the extent of your injuries. You are partially or permanently disabled. If you are unable to return to your former job but can still work or are permanently disabled, you may be entitled to lifetime benefits. These claims are very expensive for insurance companies, and they will fight vigorously to avoid paying you these benefits. An attorney is essential to determine the amount you are entitled to and to aggressively litigate your case. You receive social security benefits. If you also receive social security benefits, you need an experienced attorney who can structure your settlement so that you—and not the Social Security Administration—receive your workers’ comp settlement. Your employer retaliates. If your employer retaliates against you by firing you, demoting you, reducing your pay, or takes other retaliatory actions, you need to contact an attorney immediately to stop these illegal practices. You have a third-party claim. 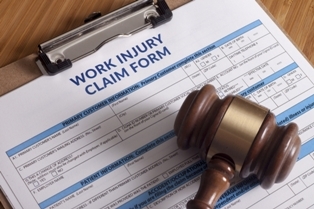 In some cases, you could have a claim against a third-party as well as for workers’ compensation benefits. For example, if you drive a delivery truck for your job and got in an accident caused by a negligent driver, you could have a right to compensation from him. Pursuing these claims as well as applying for workers’ comp benefits can enable you to receive more compensation—especially for your pain and suffering which you are not entitled to under New Jersey’s worker’s compensation laws. I have been helping workers obtain the workers’ compensation benefits they deserve for over 20 years. If you were injured in an accident at your job, order my free book, What the Injured Worker Needs to Know, to start learning about your rights under New Jersey law. Then call me at 877-360-0183 to schedule a free, no-obligation consultation.